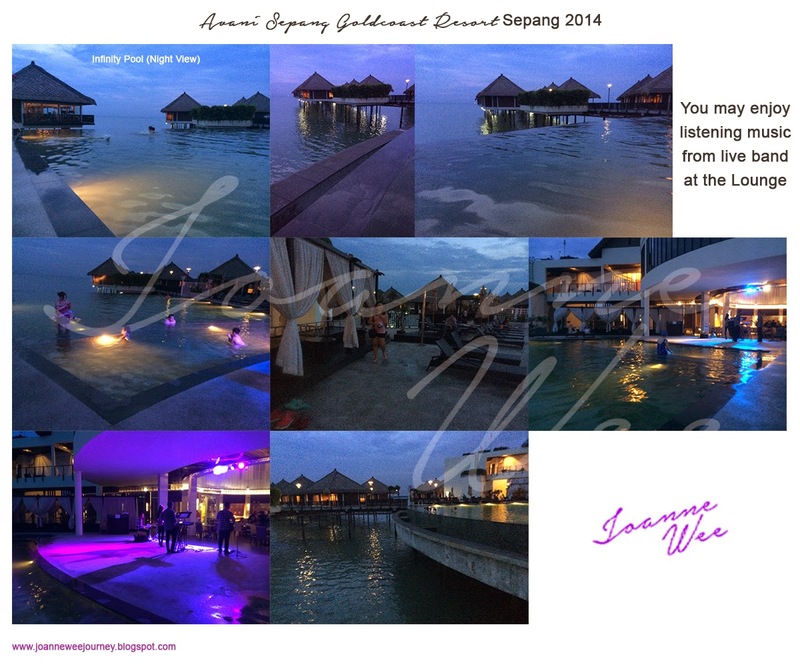 Today my friend and I had arrived to Avani Sepang Goldcoast Resort 雪邦黄金海岸阿瓦尼度假酒店 (visit their website: avanihotels.com). The story begins with I received a call from them early on December 2013, and received a FREE voucher for 2D1N and the next thing, they told me the resort, it's fully booked until April 2014, but somehow I still managed to reserve the room on May 2014, so now I am HERE ~!!!!! The environment is really awesome ~!!! I love their room, balcony, toilet, corridor, lounge, infinity pool and more (Everything is awesome!!!). We went to Tanjung Sepat for our lunch and bought some foods for our dinner, and visited their famous Lover Bridge, it's about 35 to 40 minutes away from Avani Sepang Goldcoast Resort. 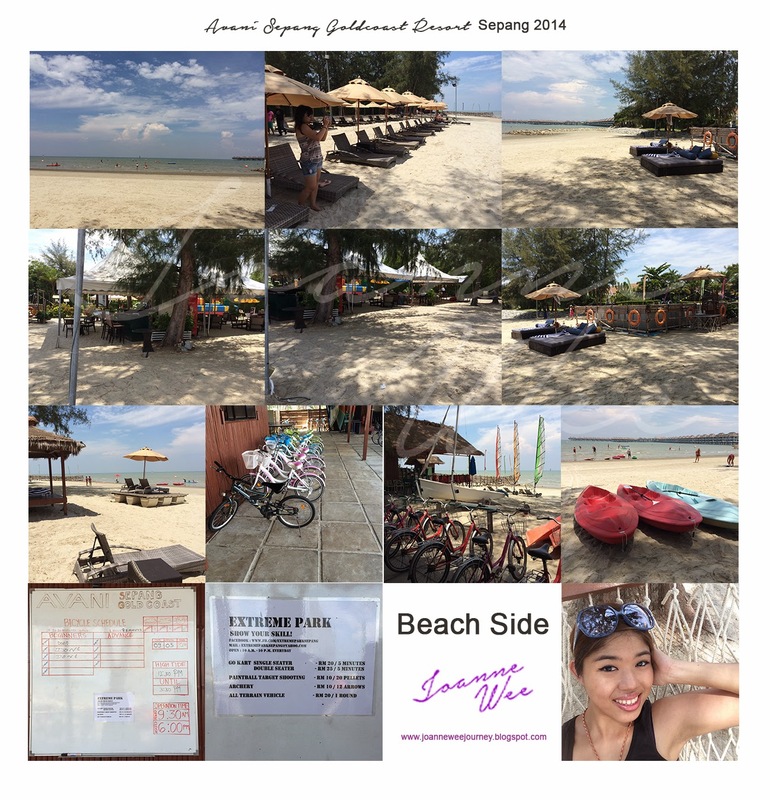 We are back to our paradise resort after 3 hours of visiting Tanjung Sepat. We took the bike and ride to the lounge and visited the swimming pool, for your information, the bike, it's free; you don't have to rent it. 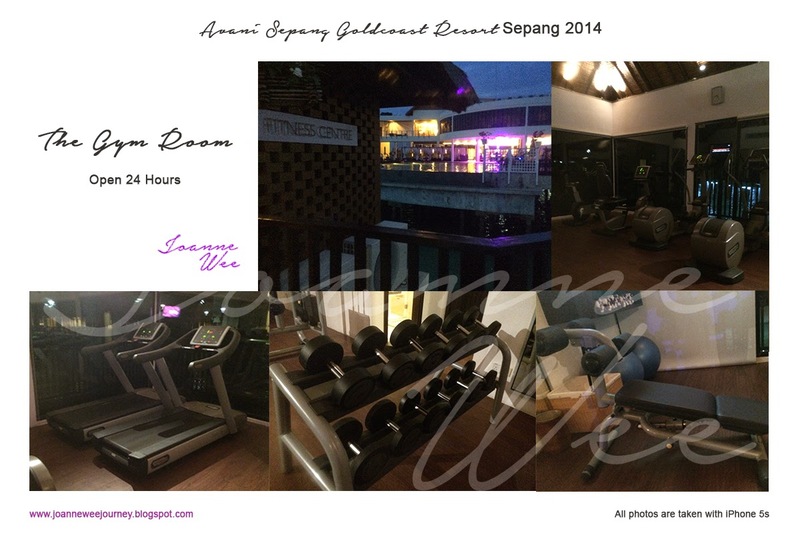 We went to the gym room during night time, it's open 24 hours. Besides, you are viewing of the sea and you can look towards the swimming pool, such beautiful scenery to view; so relaxing. Wake up at 7 in the morning, facing the sea, viewing the beautiful sky and shine by the sunrise, feels so good. After we took our shower, where are we going? Of course the beautiful infinity pool ^_^ the pool it's open 8am - 8pm. After 1 hour swim, we shower and rest in our room. Time flies so fast, It's time to go home, pack our stuff and leave this paradise :( Check out at 3pm and we took a walk at the beach, refer to the image below for the beach side activities, whatever in the area of the resort are free; what's outside, you may refer to the image below for the pricing. On the way back, we stop by Restoran Sepang 雪邦海鲜酒家 to have our lunch.